The perfect vehicle for a 1,600 mile road trip. 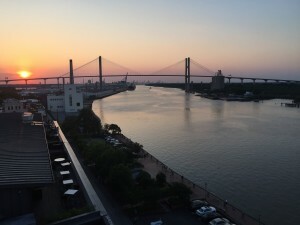 Recently, my family and I did a week-long road trip from South Florida to Savannah, GA and Charleston, SC. 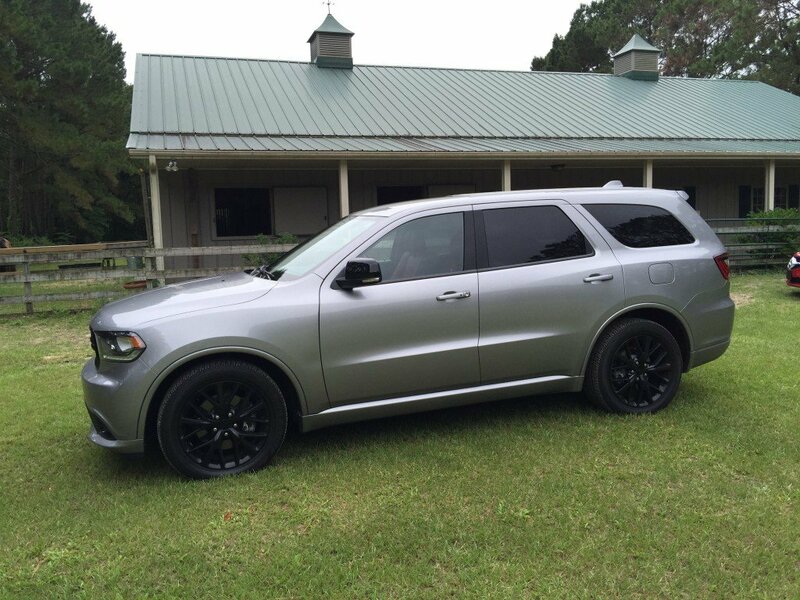 I requested a large SUV or mini-van from the press fleet company and they graciously came up with a 2016 Dodge Durango R/T SUV for our use. This particular well optioned example came in a metallic silver finish, black wheels and a sumptuous fully optioned red leather interior. Our early departure from Key Biscayne was bright and early, with Savannah, GA as our destination. 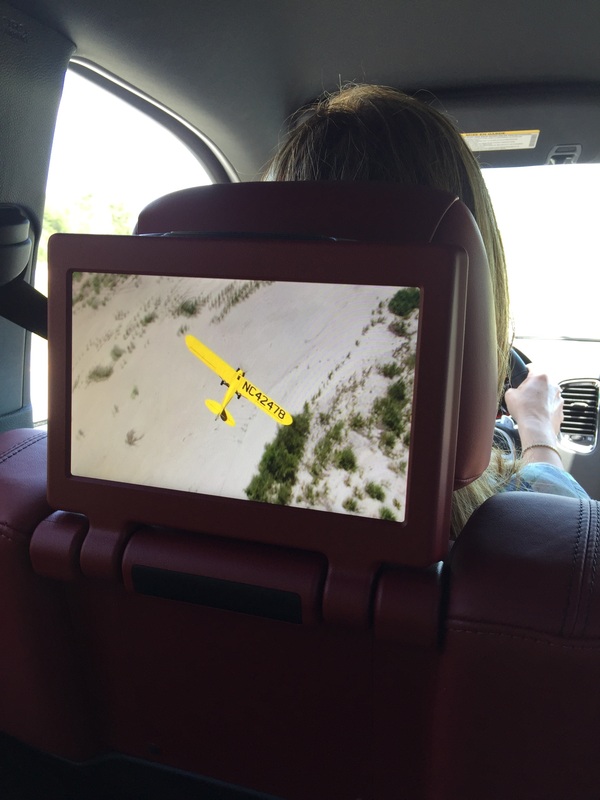 The onboard navigation was easy to learn and intuitive to use. We liked the large screen size and convenient touch-screen inputs, making it a breeze to change anything quickly. The unused third row seating was stowed and we used it to pack four large suitcases plus a cooler with snacks and water for the trip. 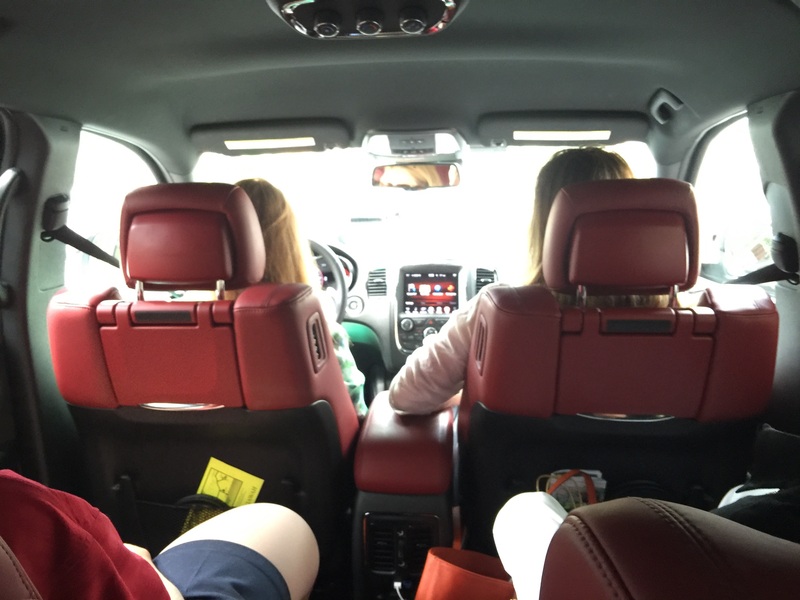 The second row captain’s chairs are quite comfortable, especially on a long trip like this one. The leather and cushioning where definitely appreciated, even after 4-5 hours of continuous sitting. We did find that with the typical fore-aft positioning of the front seats, the second row does become a hair tight for leg room. It’s not bad at all, but a few more inches of knee-space would certainly be appreciated. Our first stop was Sanford, Florida, a sleepy bedroom community near Orlando. We drove into the small downtown area and chose a German restaurant that was surprisingly good for lunch. Back on the highway, we wanted to change some of the routing to get us back onto I-95 and the nav system worked flawlessly! Thank you Dodge. Entering the downtown area of Savannah, there are a number of one-way and side streets that can make navigating a bit tricky, but this was a non-issue and we arrived into the swanky Bohemian Hotel Savannah Riverfront, Autograph Collection. 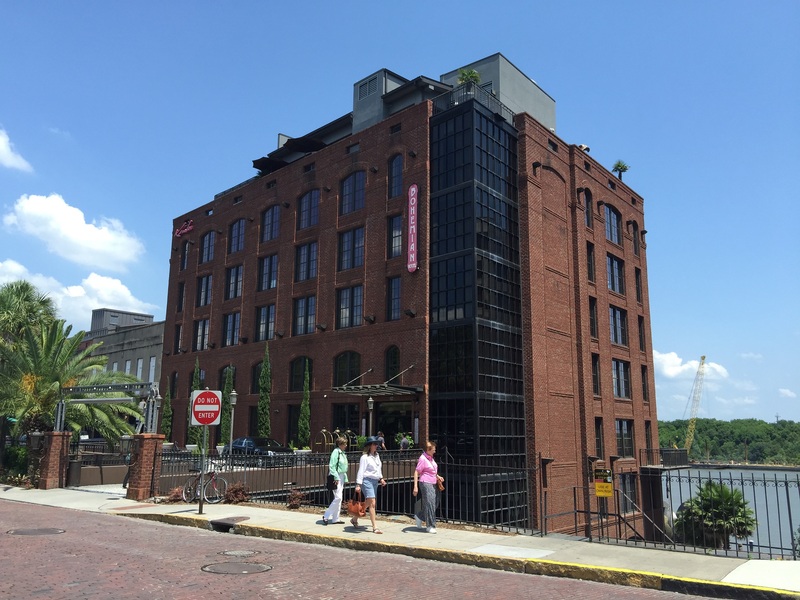 Conveniently located right on the Savannah river bank, this boutique hotel gives off an elegant and whimsical bohemian feel. 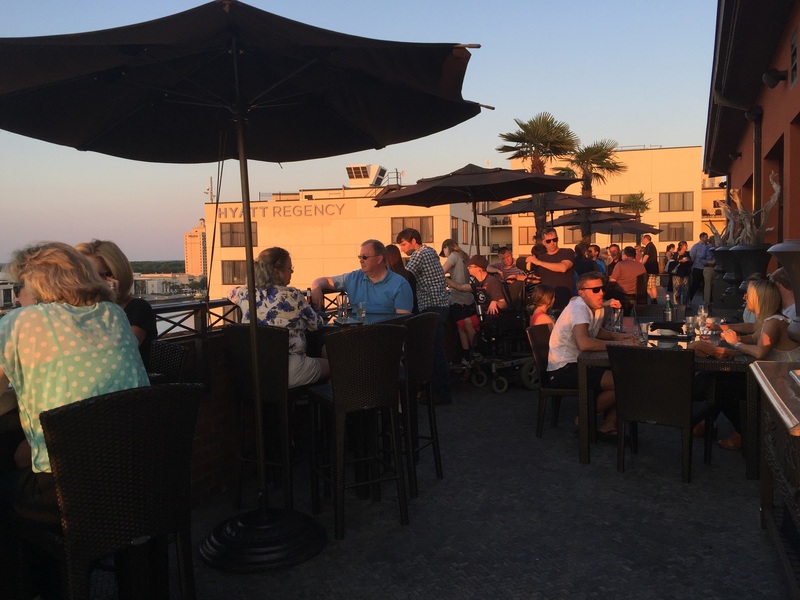 The rooftop has a superb bar with beautiful vistas of the channel as well as the dramatic Talmadge Memorial Bridge to the left. Sunset is the best time to be there for sundowner cocktails. The following day, we ate at a classic Savannah landmark, The Olde Pink House.This 18th century mansion is one of the oldest houses in the South, successfully converted into an outstanding gourmet restaurant. Seating is all over the house, in stately high-ceiling and wood floor rooms. 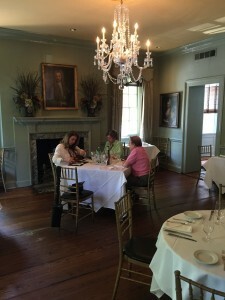 Food is definitely inventive southern cooking with a superb attention to detail. Additionally, the restaurant offers live music in the downstairs tavern in the evenings. 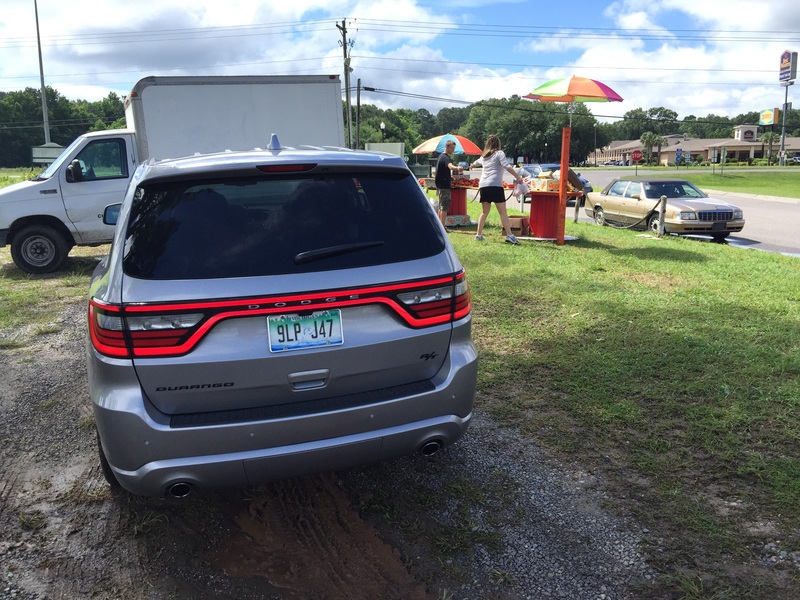 I’d classify the Durango R/T as a super mid-size SUV mixed with the behavior of a Crossover. There is ample space for bags and gear yet practical and easy to live with in an urban environment. Turning radius is excellent as is the versatility when backing up into a tight space. We really appreciated that, especially in the older, tight street cities that we visited. We traveled with two older ladies and for them the high stance of a larger SUV would have been an issue getting in and out of the vehicle, that was not the case with the Durango R/T. After two days we departed Savannah and headed north along the coast, destination, Charleston, SC. 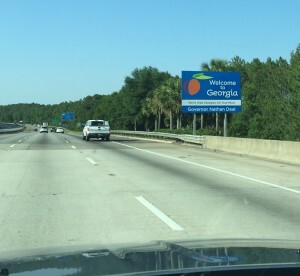 We elected to take the more scenic roads along the coast so we could take in some of the barrier islands such as Hilton Head and Kiawah Islands. 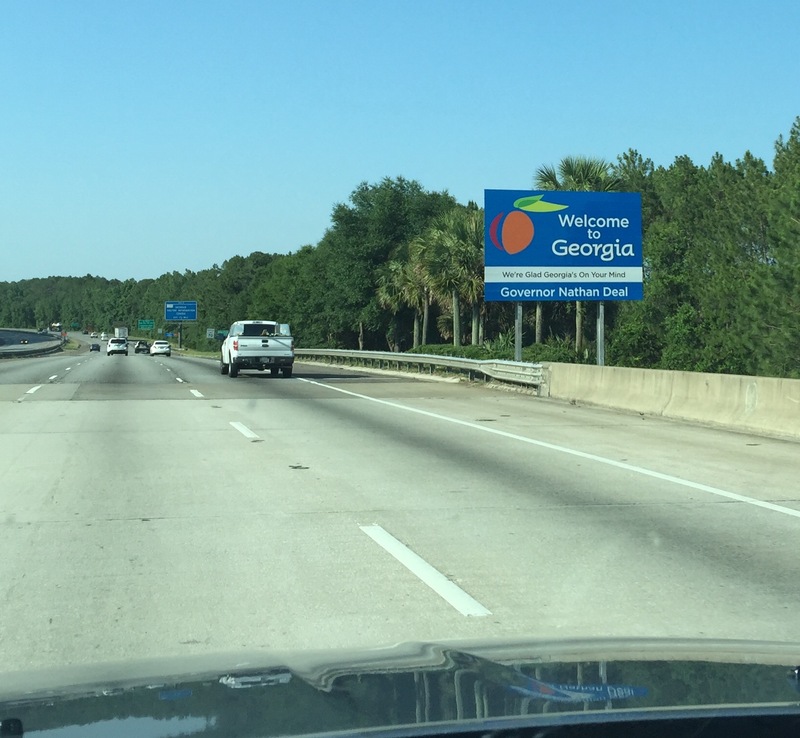 Savannah to Charleston is an easy drive, and before we knew it, we had arrived. Our hotel was the tony Belmond Charleston Place, right in the heart of downtown. 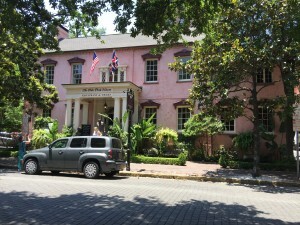 This is the grand-dame of Charleston hotels, featuring five star accommodations as well as superb dining. Regrettably, there was an unseasonably early tropical storm heading towards the SC coast and we had some wet weather for two days. 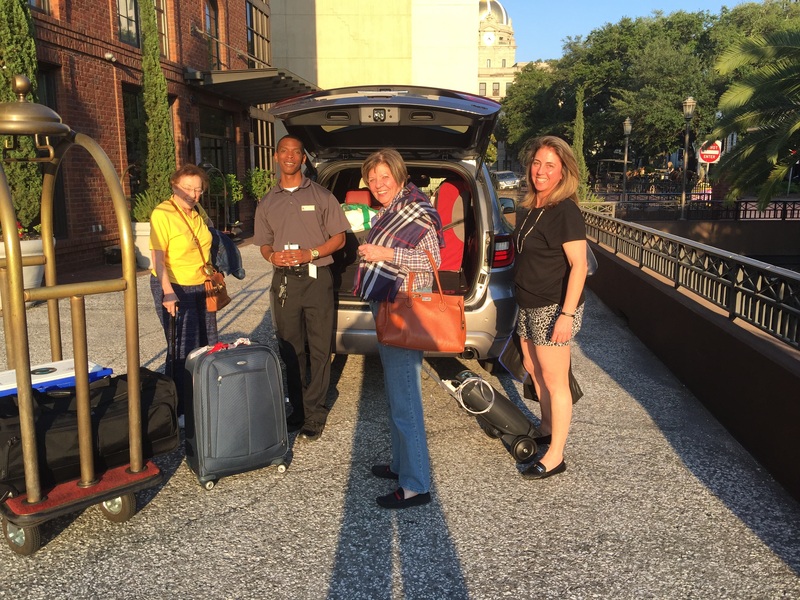 Regardless, we made the best of it by using the Durango R/T as our modern carriage to tour the stately mansions around this elegant city. Great local food is always on our mind when we travel, and we scored a coveted table at one the city’s most sought after restaurants, Fig. Serving locally inspired fare, this was truly a memorable dining experience. 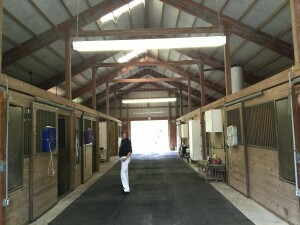 The following day we visited a family friend about 30 minutes outside of Charleston at her impeccable 600-acre horse farm. 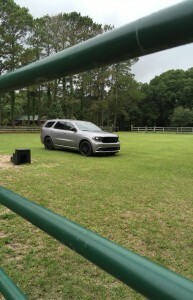 Again the Durango R/T served as our expedition vehicle to tour the entire farm with our host being the tour guide. Our return to Key Biscayne was Monday, and we departed Charleston after a hearty breakfast. The Durango R/T was loaded and off we went. The definitive commentary on the Durango R/T throughout the journey was; “This is a surprisingly nice vehicle!” “I didn’t expect it to ride this quiet and smooth” As I heard these comments I could not help but to smile. 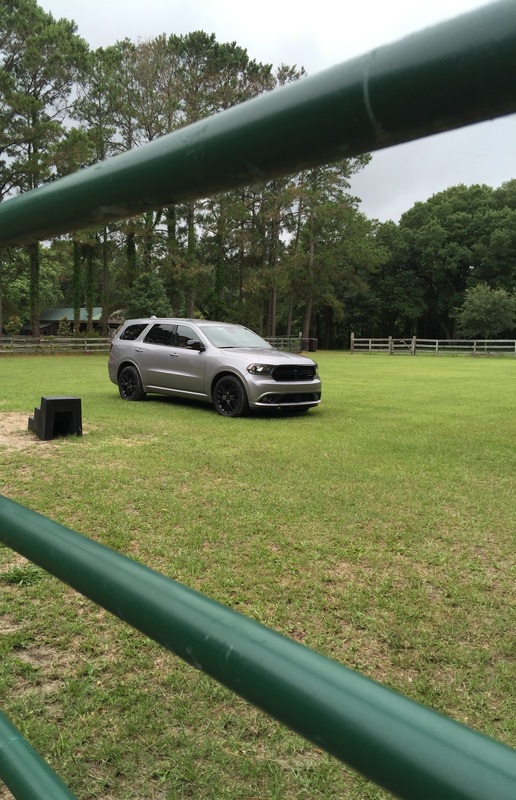 The Durango is, for some reason an enigma. This is a Crossover/SUV that does everything you ask it to do and more, effortlessly with a look and feel of a more expensive, high-end vehicle. 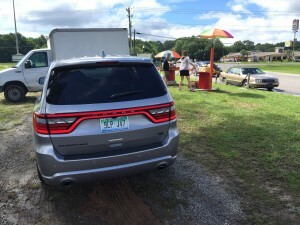 Our entire trip covered a bit over 1,600 miles and averaged a respectable 21.5 MPG overall, giving us the opportunity to seamlessly integrate the Durango R/T into our scenic weeklong road trip. 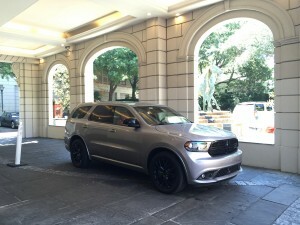 Our takeaways where many, but most importantly, we realized that the Durango R/T is a bit of a secret, as it combines excellent driving dynamics, the right size and a superb interior. Its worthy of being put in your short list even if you are shopping for much more expensive crossovers and SUV’s.